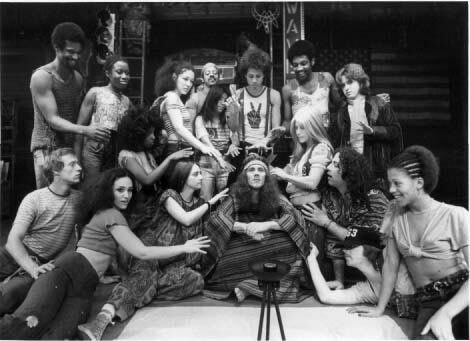 This official tour in 1973 used many alumnae of the Broadway and other first run Hair companies. Back row Left to Right: Nat Morris, Sheila Gibbs, Angie Ortega, Bobby C. Ferguson, Soni Moreno, Larry Marshall, Robalee Barnes, Alan Braunstein. Front row Left to Right: Bryan Spencer, Roberta Baum, Mary Seymour, Dale Soules, Allan Nicholls, Victoria Medlin, Michael David Arian, Jonathon Johnson, Janet Powell.